Nishadha's Author Bio: A Software Engineer turned Tech Evangelist. Currently I work at Cinergix, makers of Creately, an emerging Microsoft Visio Alternative and specializes as a Workflow Diagram Software. I have more than five years experience in digital marketing and do SEO consultation in Sri Lanka. I'm love social media and its ability to level the playing field for smaller companies. Successful startups have some things in common and top notch marketing is one of them. You might have come up with the greatest idea in the world or built the coolest application, but if other people don’t know about it, your idea or product isn’t worth much. Many young entrepreneurs get so sucked into the creation of the product, that they treat marketing as an afterthought. But as I said before, if users don’t know about a product they won’t be using it. The immense popularity of the internet has leveled the playing fields, so someone with a small budget working from a garage can compete with big companies as long as they have a cool idea. In fact they might have a better chance in some niches because people have started to distrust companies. Below are few ways you can promote your startup – specifically tech startups. The starting point is creating a Facebook page and a Twitter account. Both are free to start and you have the potential to tap into millions of users. You can get the ball rolling by asking your friends to like and share the page. Social networks are a good place to share your ideas and plans and get some feedback on them. Every little things count to successfully promote your product. 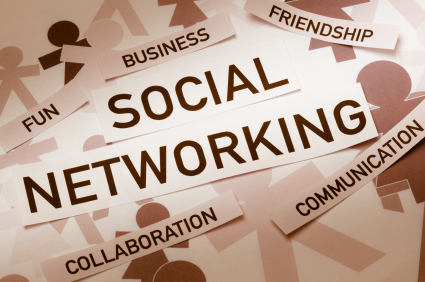 If you have a product that is catering to a specific niche, then try joining a similar niche social network as well. Once you come up with a working solution you can contact leading industry blogs to cover your product. Most major technology blogs like TechCrunch and Mashable have separate application forms for startups, so if you are confident about your product you can submit to them. Not only will you get massive exposure you will be able to get funding as well. Even if you don’t get published in major publications there are many other websites that promote startups and you can find many of them by doing a simple Google search. Attending conferences and your local tech gatherings is another great way to spread the word about your product. Attending major conferences helps you network with people and pitch your product to industry leaders. Local gathering are important because in most of these you will be able to present your product to an audience using a projector, which is far more effective than reading an article about your product. You will also get instant feedback on how you can improve your product as well. Another promotion stream that is ignored by most startups is search engine optimization. Although most people in the technology field know about SEO, few actually try to leverage its power. This is especially useful if you are a global product catering to a non tech crowd. They won’t be reading Mashable and attending tech conferences, so the most probable way they will find your product is via search engines. Even if you are catering to a tech crowd search engine optimization is a must. The long term benefits of SEO are immense. Although it is advisable to outsource your SEO work, if you have lots of content produced through your blog and website, it is better to hire your own SEO engineer. Be careful though, as black-hat SEO can be very damaging to a site, so if you do outsource, make sure it is to someone trustworthy. Mentioned above are some major things you can do to promote your tech startup. Always remember that more people know about your product the better. The bigger your customer base, the likelihood is, the more money you will make/people you will help! I’m a big fan of web based applications. I don’t have anything against desktop applications, but there are many limitations with desktop software, especially for someone who like me who is constantly on the move. Higher cost, platform dependence, installation problems (space, hardware, buggy installers) are a few of the reasons I try to avoid desktop applications. My reluctance to use desktop applications led to me using a few highly useful web alternatives. Mentioned below are the five which I find the most useful. If you are looking to edit images then this is the perfect tool for you. It’s a great alternative to desktop image editors like Photoshop, Illustrator etc. It has a comprehensive set of tools to do all sorts of things with your image. You can import your own images to do some quick changes and help text pops up from time to time to ease the process. It has a comprehensive set of tools for vector editing and even audio editing. Try Aviary Tools. Creately is a diagramming application that is a great alternative to software like Microsoft Visio and Omnigraffle. It supports technical diagrams like flowcharts, UML and business diagrams like organization charts, mind maps etc. If you are looking to draw a quick flowchart or an organization chart then this is the tool to do it. It also has online collaboration support, meaning you two people can work together in the same diagram, excellent if you are working with clients that are in different locations. Check out Creately. As you will probably guess by the name, this is a great alternative to software like WinZip. It supports popular file types like ZIP, RAR and as an added bonus scans the files for viruses as well. Most downloads are packaged as zipped files so this is an extremely useful tool to have. The best thing is, you don’t have to sign up or provide you email just to get the file. Try WobZIp. I consider this a must have tool for anyone. It’s a great alternative to Microsoft office and offers controlled sharing with others as well. You can prepare documents, design slideshow presentations, create spreadsheets and much more. As mentioned, the online sharing ability makes it very easy for many people to work on the same document. You do need a Google account to use the service, but most people have one these days, so that shouldn’t be too much of an issue. Check out Google Docs. Wunderlist is the latest addition to my online tool set. Wunderlist is an online to do list manager, which also has some cool additional features which makes it very productive. If you want they provide desktop applications for many devices that automatically sync with your online account. You also have the ability to share lists with other users. This is especially useful if you are working with few others on some small tasks. You can easily see what they have completed and what needs to be done. Try Wunderlist. Mentioned above are five tools that have helped me become more productive and efficient in my day to day work. There are hundreds more web alternatives out there so if you can think of a similar one make sure to mention in the comments section. In the meantime try out these services and enjoy the freedom of web based applications.